Thank You for registering for the fourth BOX Showdown of 2018. We are excited to heading back to one of our most popular venues for DH and Enduro Racing, the trails will be dry and running fast this weekend. Bring your sunscreen and leave the umbrellas home ! Sugarbush Mountain is offering a Discounted Friday Passes for registered racers at $30 for our event this year. If you have not paid for your plate or registration, please note it is CASH only onsite. All attached forms must be filled out even if you preregistered. Print them out, fill them in and save time. There is a Sugarbush waiver attached and everyone needs to fill that out along with the attached entry form and ESC waiver. Save yourself some time and print and fill them out at home. Attached are a couple other documents for you to review, one is the enduro map. We will NOT have printed maps for this event as the course is easy to follow, so if you want one please print it. The 2018 MAXXIS ESC Enduro rules are also attached, there have been some changes, so it would be best to read everything. We will be onsite Friday afternoon but please understand we cannot do any registration on Friday. We have a lot of set up and course work to get done. All Racers that want to compete in the BOX SHOWDOWN must sign in on the BOX SHOWDOWN Entry Sheet at registration. 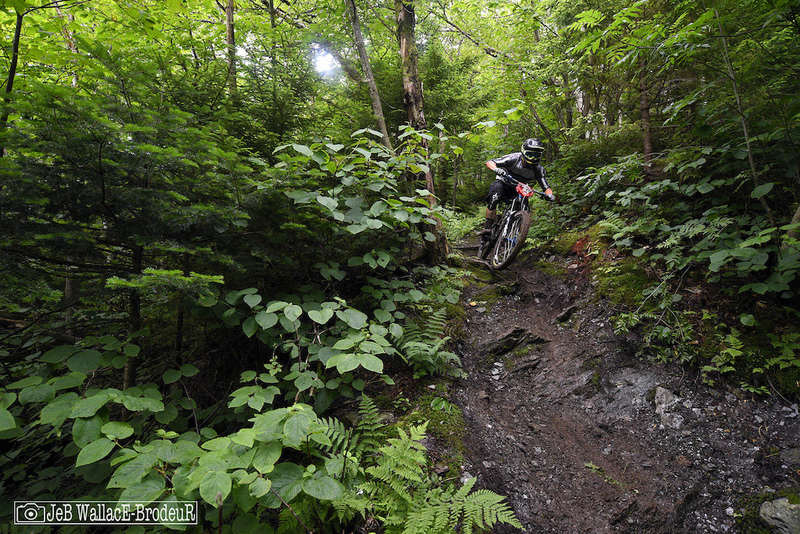 The BOX Showdown is for racers that are competing in both the enduro and the Downhill on Sunday. Failure to do so will exclude you from the competition. Please don’t forget, we really want you to be happy. We are sorry but The CLIF Kids U12 may only participate in one event during the weekend. Back is the FOX Seatpost Climbers Challenge. We’ll award the fastest amateur a FOX Transfer Seatpost and the fastest in every class some cool FOX Socks. Remember you must chip in and out on the climb. New this year is the FLAT TIRE DEFENDER Super Stage. This competition awards the fastest amateur male and amateur female a one FLAT TIRE DEFENDER INSERT, it will be contested on STAGE 1. The ALEX RIMS Super Stage is back too! This competition awards the fastest amateur male and amateur female a pair of Alex Rims Volar rims, it will be contested on STAGE 5. This event will be timed by All-Sports Timing. The FLY SPEED ZONE will be active during the race for a FLY Helmet to the fastest Amateur Man and Woman. The fastest in every class will receive a cool prize. FRIDAY – $25 pass available from Sugarbush. Courses will be marked. No registration. WEDDING – There is a wedding Saturday in the courtyard. Please avoid the Courtyard all day Saturday. CAMPING – No fee for camping in Lot F only ! Showers at the SHARC for $6.50. Competitor parking will be in Lot B and Heli Lot ONLY (no parking in Lot A). Absolutely NO camping in Lot B of Heli. Lot F is the only space to camp. NUMBER PLATES– Will be sold at registration for $10 each. A 2018 MAXXIS ESC Number Plate must be affixed correctly to your bike always while on the tracks this weekend at Blue Mountain and your lift pass must be visibly attached to your bike. You will not be allowed to ride without both. No cuts or trimming allowed on the plate please. RAIN – Don’t even go there!! SAFETY – Sugarbush Mountain Rescue. If you need help, call Emergency Dispatch at 802-583-6567. AWARDS – as always Racers MUST be present at the Series Final Award Ceremonies or at the Race Award Ceremony to Receive Awards and/or Cash Payouts!